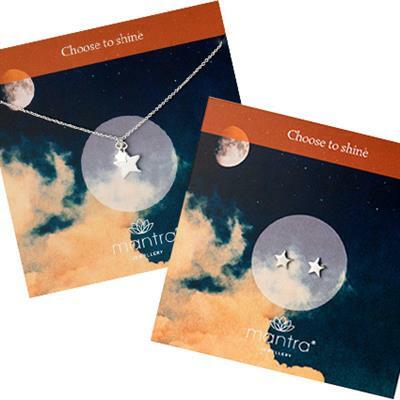 This 925 Sterling silver Set features the beautiful Star studs, and Star Necklace. The star is a symbol of brilliance, it encourages you to see the bright in the darkness and to trust your instincts. Wear your star or give it to a friend, choose to shine!